Vox's V845 Wah Wah Pedal preserves the spirit and tone of the early VOX wah-wah pedals"a sound still sought after by today's players. Designed to withstand the rigors of life on the road, the V845 features a solid yet lightweight die-cast aluminum housing, as found on authentic VOX wah pedals from the 1960s. The Vox V845 Classic Wah Wah Guitar Effects Pedal is based on the specifications of the original pedal developed by VOX in the '60s. The V845 Wah-Wah offers guitarists the same legendary Wah-Wah tone in a new sturdy but very affordable design. The fitted AC power connector saves on batteries and the outer case is coated with tough all-black finish making the VOX Classic Wah-Wah a perfect choice for your pedal board. VOX developed the world's first Wah Wah effect during the '60s to give guitarists the ability to sound like a trumpet being muted-an important musical ingredient of the day. 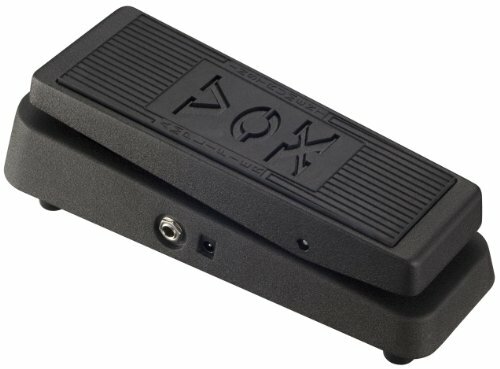 VOX's original Wah Wah pedal quickly gained widespread popularity and its unique sonic characteristics have encouraged further experimentation by guitarists ever since.